Her typical day would start at 6.00AM. A 30-minute run would get her day started before she heads back to the house to prepare her kids for school before embarking on the 1-hour walk to the gym. This routine continued until she got invited for yet another professional fight in Mumias. Having traveled so far to participate in the fight, the discouraging end result was one that was becoming way too familiar. The promoters failed her yet again by not paying her. Many would have chosen to throw in the towel but that was the last thing on Zarika’s mind. She had to keep going. “My motivation was my kids. I knew that I had to provide food and a roof over their heads, so I couldn’t give up,” she asserted. File photo of Fatuma Zarika training at the Muscle Heath gym with coach Edgar Sentongo. Photo / Philip Kamakya. “I cannot begin to explain how I felt after I knocked out my opponent. 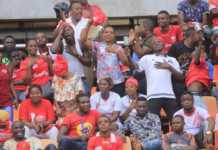 The loud cheers I got from the fans did the most to add onto the excitement and contentment that I was feeling,” she said with a smile on her face. The victory enabled her to get noticed by Blue Shield Insurance who wrote her first every paycheck. She penned a one-year contract that entitled her to five professional fights in that duration. Zarika’s fortunes seemed to be turning for the better as afterwards she was approached by promoter and trainer Kale Osaga, who convinced her to sign another two-year deal, this time with Osaga Promotions. Conjestina was also under Osaga productions so it seemed the perfect fit for the young Zarika. The deal did not start off as well as she had hoped as her counterpart Conjestina seemed to be favored by Osaga. She would be given more fights than Zarika and continued to gain recognition as her ancillary was left in the shadows. When the fights began to come, the same old curse of not being paid continued to haunt Zarika. She had entrusted Osaga with the task of turning her into one of the best female boxers in the land and the endless promises she would get made her reluctant to pressure him for her dues. It would get as bad as being given KShs 200 after a fight which would only be enough for her transport home and the simplest of meals for her family. The cycle continued for the duration of the contract and by the time her last fight was on the cards, she had finally had enough and refused to fight until she had spoken to the sponsors to ask for her money. Zarika’s tactic paid off as her victory saw her receive KShs 460,000. The back and forth with Zarika and promoters not paying her went on for a year and during this time she would participate in fights merely for the sake of breaking records. On a good day, she would receive KShs 10,000 for her efforts. Osaga and Zarika then parted ways. This in turn led to her not being in the ring as often as she would have liked to. She did not stop training and would only fight when people would be organizing fights and invite her to take part, at times it was pro-bono so she would use the fights mainly to improve her skills and learn new techniques. “Even after I left Osaga Promoters, I knew that I had to find a new avenue to make it. I still had to provide for my family, they needed clothes and school fees to pursue an education and that was enough to encourage me,” she underlined. Time went by and she kept her spirits up until she was fortunate enough to get a well-wisher who took her to America with the conventional promise of turning her boxing career around. As one would imagine, it’s not easy for a mother to go to a different country and leave her children behind but for Zarika, she had to do it – for them. What began as a dream come true, became a dark reality as it did not turn out to be the American dream that she had hoped it would be. She ended up doing house-work for a long period of time and rarely training. She slowly began to lose hope and as her first paying fight came, despite her victory, the money she was to be rewarded would be taken away from her by the manager with the excuse of housing her. His case was that since she was staying in his house and he was providing her with food, he was entitled to the money she made from her fights. After a long cycle of the same, Zarika decided it was time to come home and she did that still with the dream of becoming the best Kenyan female boxer. In 2008, Zarika participated in what she terms as one of the toughest fights in her career. 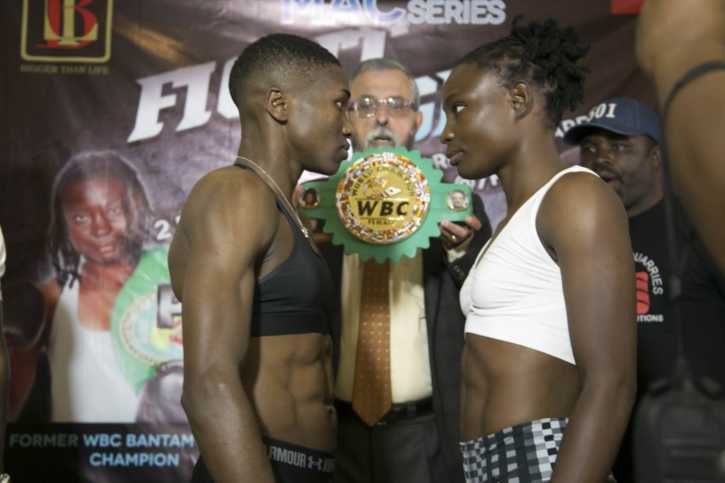 She squared up against Belinda Laracuente, also known as ‘Brown Sugar’ at the Charter Hall in Nairobi for the interim World International Boxing Federation World Super bantamweight title. Though many believed that she did not stand a chance against the Puerto Rican, she proved all her doubters wrong with an astounding victory, sending the Kenyan faithful in attendance into a frenzy. “I learnt a very important lesson that day. Not everyone who is around you is for you. Many people said I won the fight in an unfair manner even though it was clean. I simply chose to ignore the people who said that I lost the fight because only I knew what I had to sacrifice to be ready for it,” Zarika explained. Another opponent that sent chills down both Zarika and her number one fan Sophia’s spine was yet another female boxer from Puerto Rico, Amanda Serrano in 2015. Zarika was in the United States of America during this time, she sent her daughter Sophia the name of the person she was fighting so she could do a little background check to aid in her preparation. Sophia recalls typing Amanda’s name on google and watching a few of her fights: “As soon as I saw her training and fighting in the videos, I was scared for my mum. Her style of fighting was so vicious and rough that I didn’t even want to imagine the intensity that would be in the ring when her and my mum stepped in,” Sophia continued. Zarika had been in the States with a promoter named Nelson Lopez who arranged for the highly anticipated fight in Tennessee. When the umpire signaled for the start of the fight, both women locked horns from the get go. Zarika was on the receiving end as Serrano hit her square in the chest sending her opponent straight to the floor. “I remember the welcome I got in round one, it wasn’t a good one. That punch in the chest made me sit down in the ring,” she remembers with a slight grin on her face. It turned out to be one of the fights that she would not want to remember as she lost and Lopez even went up to ridicule her. Four months later, it was announced that Zarika was to face Serrano yet again, this time in Westbury, New York. She hit the ground running and stepped up her training as she had her eyes set on getting revenge against the only women’s boxer to win world titles in five divisions, Serrano. This was not to be as Zarika went down yet again to the Puerto Rican. Zarika then went unbeaten until October of 2016 when she went to Flint, Michigan to take part in arguably the biggest fight of her career. She was to challenge Alicia Ashley for the WBC World Super-bantamweight title. She showed unmitigated brawn and determination to dethrone the Jamaican via split decision to make history as the first Kenyan to win a WBC world title. Despite the inconceivable victory, on her return to Kenya, only her daughters were at the airport to receive the world champion and to make matters worse, she did not receive a payment for her efforts. With that being the epitome of disappointment in her career, just as the odds would have it, soon after she came in contact with a company that would steadily change her fortunes and impact her boxing career. Kenya’s leading bookmakers SportPesa made Fatuma Zarika their brand ambassador, a position she holds until now. 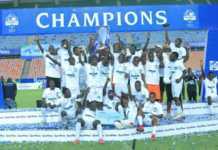 “It’s almost two years now since I have been part of the SportPesa family and it has been nothing short of amazing. 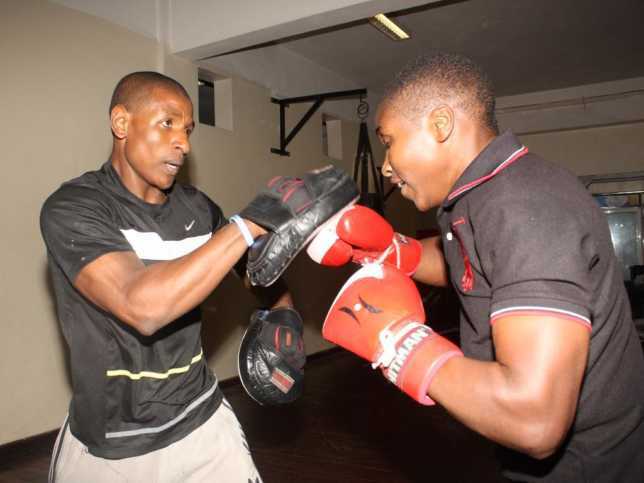 All they are doing and have done to better my career has been more than I have witnessed since I began boxing 15 years ago and for that I will forever be grateful,” Zarika revealed. 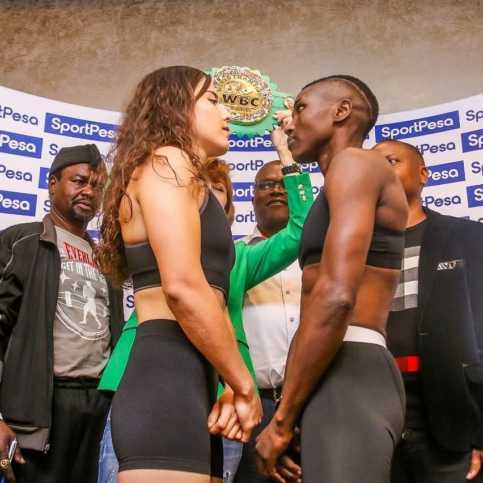 Last year in December, Catherine Phiri came to Kenya to challenge Zarika for the WBC World Super-bantamweight title, a fight organized by Las Vegas-based Bigger Than Life Entertainment. The atmosphere at the Carnivore Grounds in Nairobi was electrifying as Zarika took to the ring to defend her title. She displayed great resilience and strength to outclass her opponent and defend the title in front of hundreds of jovial Kenyan fans. DJ Matthews, the fight promoter played her by giving her USD 3,000 instead of the initial USD 8,000 that was promised to the winner and as much as that really angered Zarika, she took comfort and pride in the fact that she had retained her title at home and there were many fans who appreciated her endeavors. “I have always known that Kenyan trainers and promoters are conmen who only care about the money but I was shocked to see Bigger Than Life do that to me. There is so much that has to change in the world of boxing so that it can go back to the standards that are accepted and renown globally. There is a lot of work to be done,” Zarika complained. As she continues to prepare for her title defending bout against Yamileth Mercado set to take place on the 8th of September in Nairobi, Zarika remembered the worst injury she has ever suffered in the boxing ring. She once broke her nose and blood profusely flowed from it for a half hour. The doctors ordered her to sit out for two months but as we have already determined the sheer will power that she displays, she ignored them and was back at it a few days after the fight. She has been on her maiden trip to the United Kingdom courtesy of her partnership with SportPesa, training like she has never before with the very best as she prepares to defend her title on home soil. “My fans have always been a constant in my career and I promise them a worthy fight come September. I urge all of them to come in large numbers to support me, that encouragement will help me. I am very grateful to each and every one of them for never giving up on me,” she concluded. Zarika currently resides in Nairobi’s Donholm Estate with both her daughters who respect and look up to their mother for how far she has come and despite having to see her battle wounds sometimes, they remain her biggest source of inspiration, motivation and her unfailing support system.